Colorful real-life stories of kids, family and an extraordinarily ordinary, everyday kind of faith. If you’re a fan of comic books or superheroes you might visit the Superhero Database. This entertaining collection of favorite (and not so favorite) superheroes, villains, and superpowers is worth a look, but Jesus is missing. So are other superheroes of faith, like Abraham, Joseph, David, and Esther. You’re name isn’t there. Neither is mine. And there’s no mention of God’s powerful gift of prayer. Last summer I read a post by Sam Williamson, introducing his book, “I Wonder If Sunday School is Destroying Our Kids.” Williamson zeros in on something he calls the “counterfeit gospel of pack-mule-moralism.” The article went into my urgent file. Not because what’s in the article is news to me, but because it’s news to so many. “The Wonder of the gospel is not the love of the beautiful; it’s when Beauty kisses the Beast.” We come as we are to church. God loves us as God’s perfectly imperfect creation. 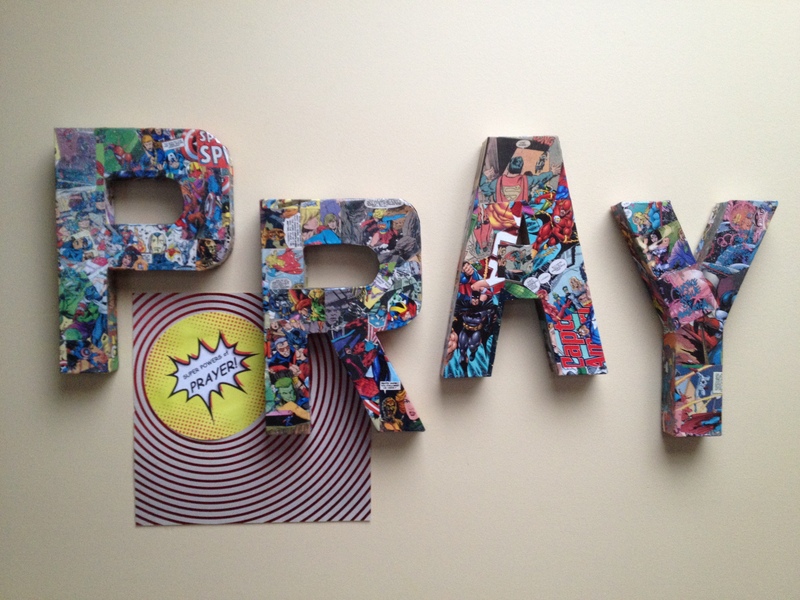 We’re all superheroes, transformed by God’s radical love, and gifted with super powers of prayer. 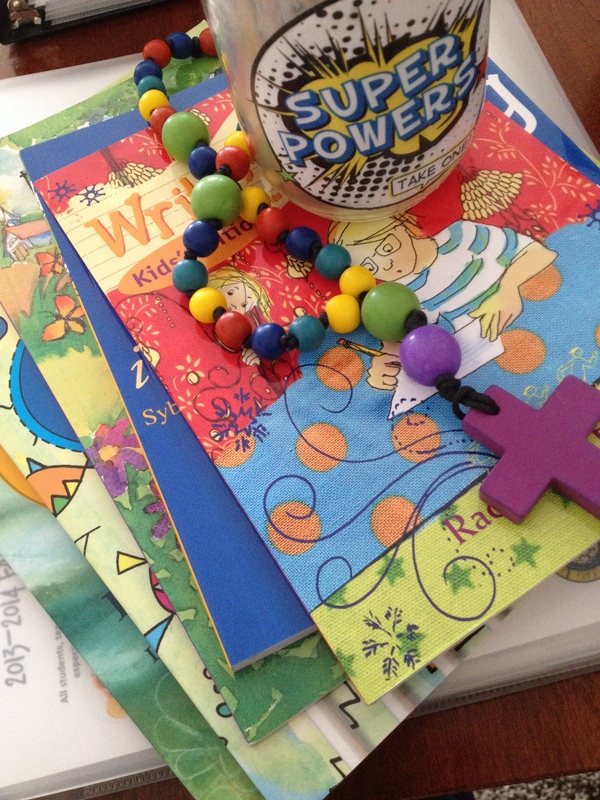 Prepare kits that include our superhero prayer beads (PDF) guide and (1) cross-shaped bead, (1) large invitatory bead, (4) large cruciform beads, (28) medium weeks beads, and cording that can be easily beaded by children. Demonstrate how to make prayer beads, step by step: Begin by folding the cord in half and beading your cross. Next add the invitatory bead and first cruciform bead to both cords. The remaining beads are added to a single cord (half the beads on each side), securing the fourth cruciform bead by threading both ends of the cord through its middle and tying a strong knot. 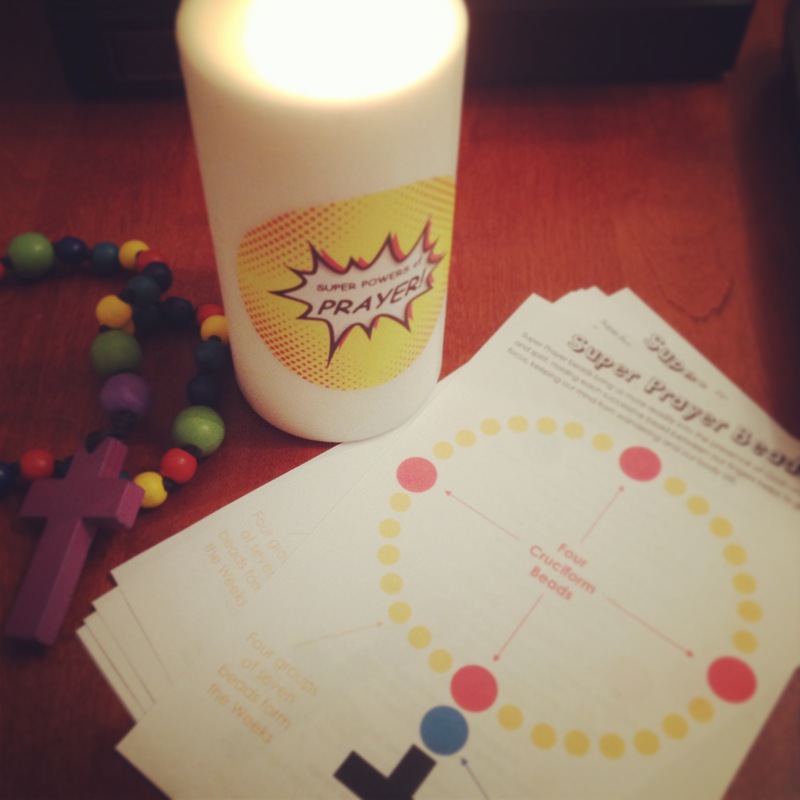 Teach the Sign of the Cross, Lord’s Prayer, and A.C.T.S Prayer while praying through one of the four group of weeks. There are other prayers available online at pintrest and elsewhere, to use with your Anglican prayer beads. 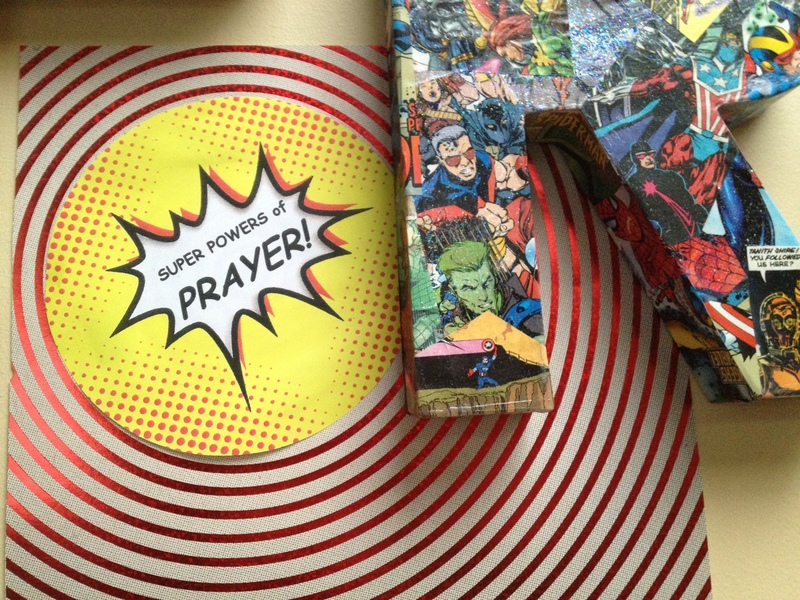 A Super Powers of Prayer event might also integrate Super Power fun, super powers prayers, the Superman Table Prayer, and signing the Lord’s Prayer. I dare to believe in a loving, big, inclusive God who came in the person of Jesus Christ to save me, a sinner, a director of youth and family faith formation, homeowner, senior caregiver, puppy lover, landlord, joy chooser, human being. Lutheran art for the church and home. what image do you carry?